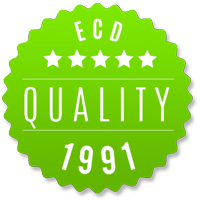 ECD is committed to the development, manufacture and supply of the highest quality spray dried food ingredients based on the highest food safety standards, in compliance with our approved HACCP System and BRC Standard. ECD operates a quality system in line with the BRC standards for food ingredients manufacture. We have achieved an A Grade consistently since we adopted BRC in 2006. We believe in keeping our manufacturing facilities and the equipment in top condition, and continually reinvest in making sure that we provide the best service for our customers. Over the past three years we have invested £5.5 million in our facilities, including new top of the range dryers and refurbishment of production areas.